Wondering what your first trip to the gynecologist is going to be like? Seeing a gynecologist on a regular basis is one of the more important things every woman must do for the good health of the reproductive system. While most women are nervous when going to the gynecologist for the first time, know that every visit after this initial appointment is much easier to go to. A gynecologist not only ensures that a woman is in good reproductive health, they are able to offer them professional advice on sensitive topics like sexuality, birth control, menstrual problems, sexually transmitted diseases and even emotional issues. A gynecologist is a physician that specializes in taking care of the health needs of women. Once a girl reaches the age of about 15, she will need to schedule her first gynecological appointment. Since being a teenager can be an awkward time in one’s life, it can be difficult for some to make the appointment because they feel nervous. Even though this is a completely natural feeling, it is still necessary to go. Discussing these feelings with a parent or someone trustworthy is recommended, as this can help put them at ease. Knowing exactly what to expect during the first visit to the gynecologist office simply allows first-timers to feel much more comfortable. This is why most first trips to the gynecologist office consist of the patient and the doctor getting to know each other. 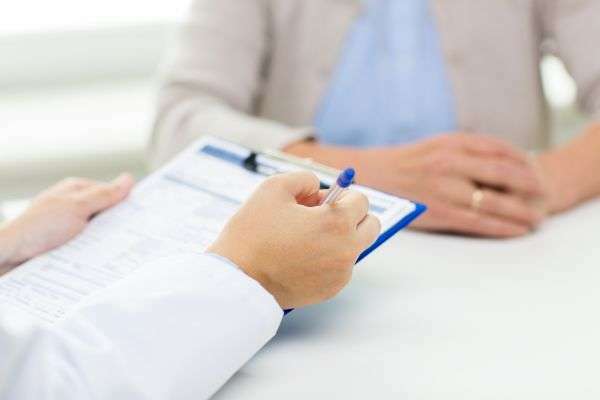 It is essential for the gynecologist to understand the patient's background, and for that reason, the patient will need to fill out forms as well as answer many personal questions. It is important for the patient to understand that everything they tell their gynecologist is completely confidential, so they should be as honest as possible. The patient can expect the gynecologist to give them a general physical exam. They may or may not have a pelvic exam performed on the first visit unless they are currently experiencing problems. Do you have any questions for us? Wondering about our gynecologist or how to make an appointment with us? If you do, know that our caring team of medical professionals are more than happy to assist you. It is important for you as a young woman to understand the importance of seeing a gynecologist on a regular basis. When you do, know that you are doing what is necessary to ensure that you are in good health. We are here for you, so we hope to hear from you soon if you need us! Looking for a Gynecologist near the 93722 area? Call Camilla L. Marquez, MD at (559) 424-1180.